Top 8 Ways to Get People to Read Your Blog! 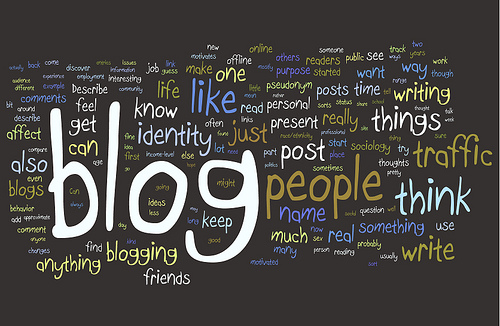 It is said that 77% of Internet users read blogs, but what happens after you click “publish” and your blog goes live? You don’t get readers, comments, likes, and shares; but don’t give up just yet! No need to spend another 10 hours perfecting your writing skills nor do you need any more people proofreading your blog. The solution to this problem is actually learning to execute your blog idea after you catch readers’ attention from an interesting title. Create a title that gives your readers a general idea of what the post will be about and how it will help them but leave them being curious with the idea of wanting to know more. Anyone can be creative, but you can be more – help your readers see what you see. Create an image in their mind as they’re reading. Formulate a title by putting yourself in your their shoes. What kind of answers are they looking for? Tell a story by making it personal and adding emotion. This way you bring clarity, giving readers a reason to talk about your blog. Use descriptions and images to describe your ideas and thoughts – it gives your readers a better understanding of your blog by can guiding them with imagination. Case studies with quotes, statistics, and details are a good way to build credibility for you and your blog – it’s important that your readers see you as a trustworthy source to read from. Offer value in your content – make it be worth reading. Identify what your readers want and give it to them. This will lead readers to stay on your site longer and will be more willing to come back again. Blogging is a skill that is a bit different from other forms of writing. Having a good blog (with many readers) for your company can become a very valuable brand-building tool. I hope I was able to capture your attention and lead you to wanting more! Here at Ready Artwork, we understand the importance of audience, tone and usage of voice when creating the perfect copy. You can contact us at (626) 400-4511 or e-mail us at marketing@readyartwork.com if you have any questions.